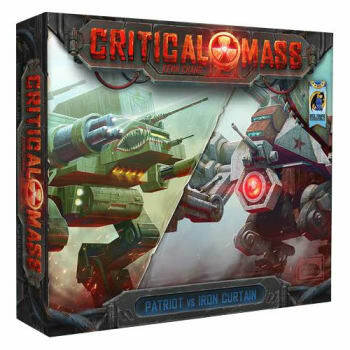 Critical Mass is a game of hard-core, heavy-hitting Mech-on-Mech combat. As the pilot of a massive war machine, you must head out into the irradiated wastes and face-down the unworthy upstarts who dare to challenge your dominion. After all, the honor of your survivor enclave is riding with you! Featuring simultaneous play with Mech customization on the fly, the tension is sure to stay high in every fast-paced combat until the final armor plate is incinerated!